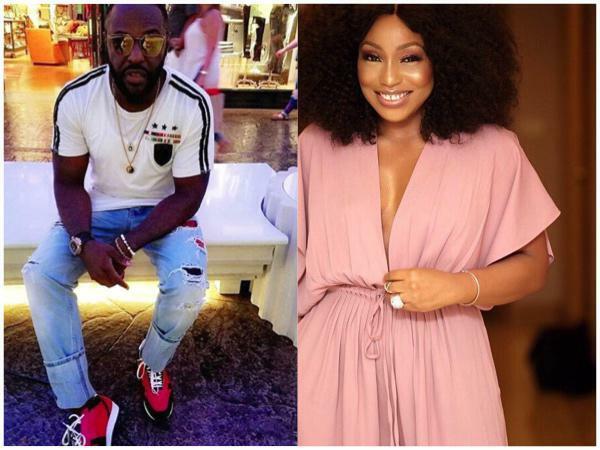 Jim Iyke who has had a long week of public revelation of his relationship with some celebrities, in a new interview with Broadway TV, opened up on why his relationship with Rita Dominic didn’t lead to marriage. Rita and I met when I was just beginning to embrace fame, the comforts that came with it.The laurels and the distraction, even the destruction. And Rita is not the kind of woman that hangs around a groth. We were very deep with each other. We still are great friends.As a matter of fact, it may surprise you that we haven’t spoken to each other in over two years. But when we meet, we are cordial, respectful. I don’t think Rita at that time was looking at longevity, truthfully .Don’t forge t,I was the kid with the crazy afro, ready to start a fight. Jim Iyke had also recently confessed his supposed relationship with Nadia Buhari was all a farce. My life was around having a good time and as many conquests as possible.So, who wants that kind of guy?So this question is futuristic in a sense. Fast-forward peharps 10 years from now that question may have had dept or hold water. But then, what was there to hold on to?I mean, seriously ?I was partying like a crazy person.She tried to show me another life and say listen ‘there is so much more to you ” I promise you that Rita will not hang around with a lay about.I was uncontrollable. I think we have outgrown each other now. I would not see Rita as son one I want to get involved with because so much layers of growth and evolvement have gone on in her life and so is mine . So place the same place and situation now, it may have worked.